Member Benefit Programs that go Beyond Savings! Meridian One partners with suppliers to offer sizeable savings, valuable programs and products and strong support through content marketing and thought leader content. 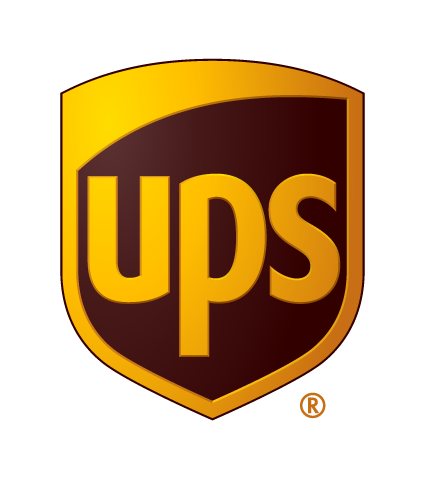 UPS is a global leader in logistics, offering a broad range of solutions, including the transportation of packages and freight, innovative delivery options for the global consumer market, the facilitation of international trade, and the deployment of advanced technology to more efficiently manage the world of business. Headquartered in Atlanta, UPS serves more than 220 countries and territories worldwide. Through the UPS program, association partners can offer their members special discounts on a broad portfolio of air, ground and international services for documents and packages. Members can also save on heavyweight shipments over 150 lbs. with UPS Freight®. It’s free for members to sign up, there are no minimum shipping requirements, and members can take advantage of discounts with a new or existing UPS account. The UPS shipping and freight program is currently available in the United States and Canada. Office Depot, Inc., a leading global provider of products services and solutions, is a resource and a catalyst to help customers work better. It is a single source for everything customers need to be more productive, including the latest technology, core office supplies, facilities products, furniture, and school essentials. The company also provides a variety of services including copy and print, technical services, mailing and shipping. With its Partner Program, Office Depot leverages its vast experience to meet the unique needs of Meridian One’s association and corporate partners. There are four ways in which members can order: Phone, Fax, Online, or In-Store. Strategic Distribution Center locations serve all regions of the United States to deliver a quick turnaround on products ordered by phone, fax, and online. 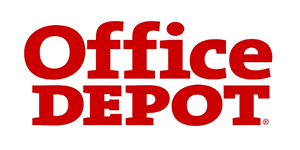 Office Depot serves consumers and businesses in 57 countries with more than 2,000 retail stores, award-winning e-commerce sites and a dedicated business-to-business sales organization. UPS Capital®, the financial services division of UPS®, offers solutions to mitigate risks and leverage cash in supply chains. Working with Meridian One, UPS Capital offers association members unique insurance programs to protect against the financial impacts of loss or damage to goods in transit. Flexible Parcel Insurance protects against loss or damage and makes you whole by covering the full sales price of the goods, not just the value of the item. Through the program, members have access to insurance coverage on UPS small package shipments and special, member-only rates. There is no charge to sign up for the program and charges are incorporated automatically into your UPS invoice. Coverage is currently available for members located in the United States. Insurance is underwritten by an authorized insurance company and issued through licensed insurance producers affiliated with UPS Capital Insurance Agency, Inc. and other affiliated insurance agencies. 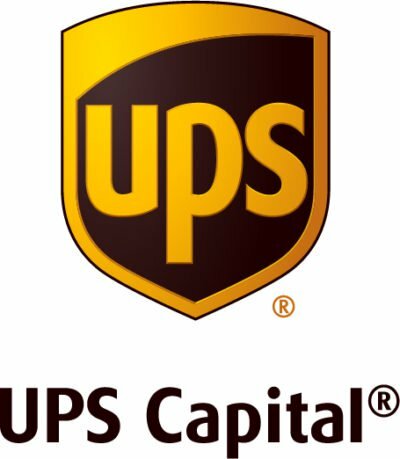 UPS Capital Insurance Agency, Inc. and its licensed affiliates are wholly owned subsidiaries of UPS Capital Corporation. Insurance coverage is not available in all jurisdictions. As the #1 PC manufacturer globally, Lenovo develops, produces and markets reliable, high-quality, secure and easy-to-use products and services for customers who want technology that does more. Founded as Legend Holding in 1984, Lenovo increased its North American presence in 2005, and as a global Fortune 500 Company has more than 54,000 employees in more than 60 countries serving customers in more than 160 countries. 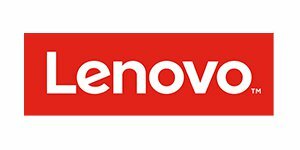 Through the Lenovo program (currently available in the United States and Canada), associations will be able to offer member discounts of up to 30% off the everyday public web price of Lenovo’s technology product line for the home and office, including laptops, tablets, desktops, all-in-ones, workstations, servers, and accessories. Members also receive free ground shipping on all web orders, monthly limited-time special offers, access to energy-efficient green technologies and award-winning service and support. The UPS Store® network is the world’s largest franchisor of retail shipping, postal, printing and business service centers. Headquartered in San Diego, The UPS Store has over 4,600 independently owned The UPS Store locations in the U.S. that provide convenient and value-added business services to the small-office/home-office (SOHO) market, corporate “road warriors,” and consumers. Through The UPS Store program, association partners can offer their members special discounts on a broad portfolio of print products such as copies, flyers, brochures, reports newsletters and finishing services. The UPS Store program is currently available in the United States. Today’s businesses want a safe, secure and cost-effective way to accept payments from their customers at the point of sale. Through Meridian One’s partnership with TSYS Merchant Solutions, Meridian One offers association members access to a competitive payment processing solution without sacrificing service levels. TSYS Merchant Solutions is a national, full service leader in the payment processing industry and serves the needs of more than 75,000 businesses. TSYS Merchant Solutions will create a customized credit card acceptance program for our Association partners based on their members’ collective annual sales volume and average ticket. This buying power provides participants processing services at rates lower than they can negotiate on their own. Avis Car Rental operates one of the world’s best-known car rental brands with approximately 5,450 locations in more than 165 countries. Avis has a long history of innovation in the car rental industry and is one of the world’s top brands for customer loyalty. Avis appeals to business travelers and vacationers who value quality travel products that save time and hassle. Through the Avis program, members of Meridian’s association partners can save up to 25% off Avis base rates, plus get other great offers, like dollars off, a complimentary upgrade, or a free weekend day. With a complimentary membership in Avis Preferred®, members will travel better, save time and gain access to exclusive offers. Additionally, Avis can work with our association partners to create seasonal offers and specials for tradeshows and conferences. The Avis program is currently available to associations in the United States and Canada. Members can use their Avis discounts worldwide. Budget Car Rental is one of the world’s best-known car rental brands with approximately 3,350 locations in more than 120 countries. Budget is an industry leader in providing vehicle rental services to value-conscious travelers and also operates the second-largest truck rental business in the United States, through a network of approximately 1,650 locations. Through the Budget program, members of Meridian’s association partners can save up to 25% off Budget base rates, plus get other deals, like dollars off, a complimentary upgrade, or a free weekend day. Plus with a complimentary membership in Budget Fastbreak, members will enjoy Budget’s fastest, easiest rental experience! Additionally, Budget can work with our association partners to create seasonal offers and specials for tradeshows and conferences. The Budget program is currently available to associations in the United States and Canada. Members can use their Budget discounts worldwide. West Unified Communications is the world’s largest conferencing provider and offers cutting-edge audio conferencing and web conferencing products for businesses through its InterCall service. Technology changes, the increasingly high cost of travel, telecommuting, sustainability and the ever present need for reliable, cost-effective communications are driving increased usage of both audio and web conferencing. Every association with members who have a high need for client and customer communications should consider endorsement of a conferencing provider. The Member Conferencing Program offers association members options for audio and web conferencing, and access to licensed conferencing platforms, if needed. Pricing in the Member Conferencing Program leads the association market for both audio and web conferencing. Discounts of up to 70% off retail pricing are available to Meridian One association partners. Yellow and Roadway have integrated to give you YRC – the genuine heavyweight expert with the most comprehensive network available. Members can receive competitive discounts on qualifying less-than-truckload (LTL) shipments. YRC offers flexible, efficient solutions, including comprehensive regional and national coverage with a full suite of guaranteed, expedited and specialized services. 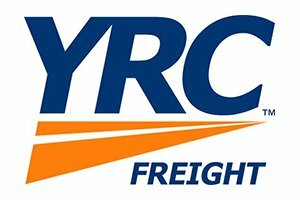 Through Meridian One’s YRC Freight program, association members can save at least 75% on less-than-truckload (LTL) shipments over 150 lbs., being delivered throughout the U.S., Canada and Mexico. Whirlpool® Corporation is the world’s leading manufacturer and marketer of major home appliances, with annual sales of more than $19 billion, more than 73,000 employees, and more than 72 manufacturing and technology research centers around the world. The company markets its Whirlpool, Maytag, KitchenAid, Jenn-Air, Amana, Brastemp, Bauknecht and other major brand names to consumers in nearly every country around the world. Through Whirlpool ® Corporation’s VIP Link Program and Meridian One, association members have access to substantial discounts on Whirlpool® brand products through a specialized website, with Whirlpool ® handling customer inquiries, purchases, delivery and billing. Coyote provides truckload, intermodal, and cross-border brokerage and transportation management services to more than 14,000 shippers of many different industries and sizes. To execute on its “No Excuses” commitment to service, technology, and solutions for shippers and carriers, Coyote invests in its workforce through training programs, accessible leadership, and talent development. Coyote became a UPS company in August 2015, giving it access to the largest asset fleet in the country and adding to its portfolio of services UPS rail asset utilization, air freight, customs brokerage, and global freight forwarding. Ten years after its founding, Coyote continues to be an unstoppable force of service, commitment, and innovation in the transportation and logistics industry. No Excuses. Less-Than-Truckload (LTL) – Fast, reliable service to regional, national, offshore and international destinations throughout North America and beyond. Time Critical – Guaranteed, expedited or time- and date-definite service. Volume and Truckload – Cost-saving volume LTL and full truckload services including dedicated solutions and brokerage options. Through Meridian One’s Estes program, association members can save at least 70% on less-than-truckload (LTL) shipments over 150 lbs. If you are interested in partnering or would like to learn more about our supplier partners, CONTACT US.